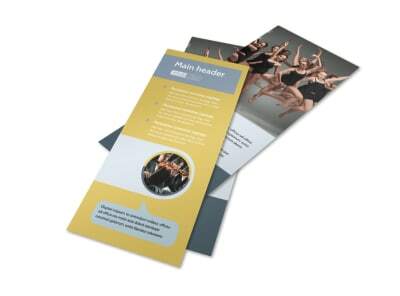 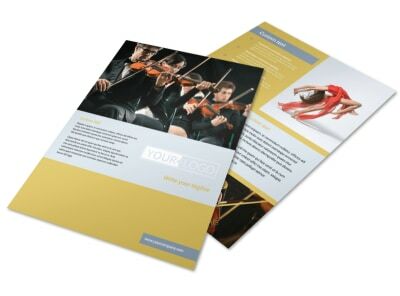 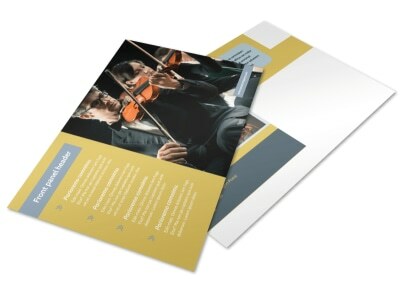 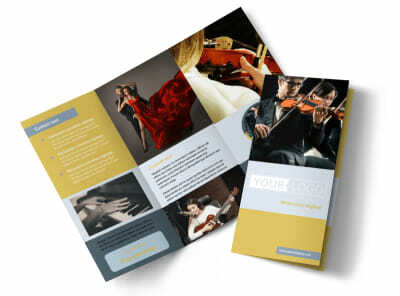 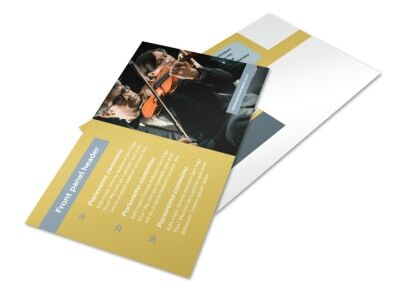 Customize our Performing Arts School Brochure Template and more! 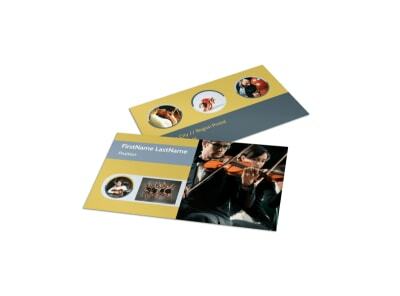 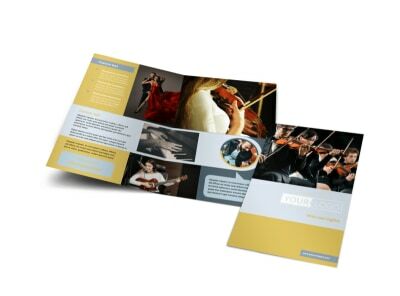 Educate potential students of all your art school has to offer with performing arts school brochures made with our online editor. 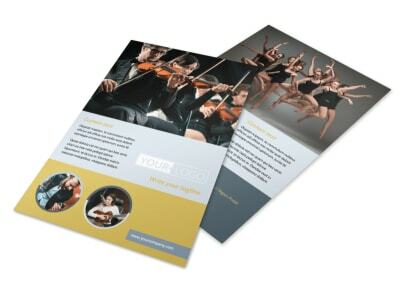 Customize a bifold or trifold template with images of students performing on stage, add enticing and informative text, and choose a color theme to complete the design. 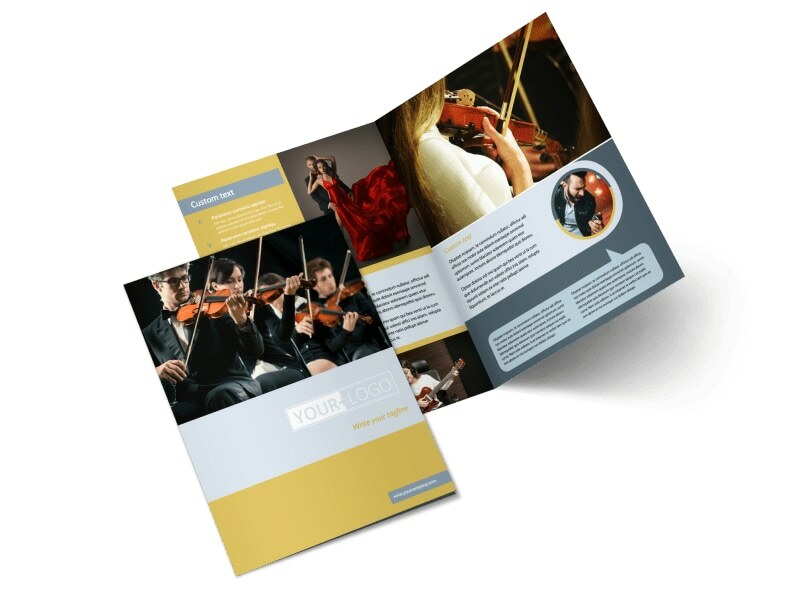 Start designing your educational brochure today.